The Overwatch League Grand Finals – the final leg of the inaugural season of the franchised league – has sold over 20,000 tickets, meaning they are no more seats available at the Barclays Center, New York. The tickets for the Grand Finals – which takes place over July 27-28th – went live on Friday, May 18th. Before the Grand Finals kick off, the Overwatch League Playoffs will see six teams battle it out to book a spot in the final competition of the stage. 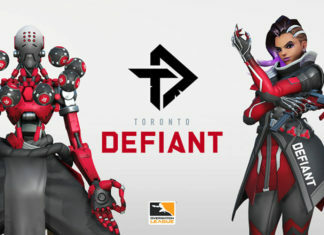 The Playoffs span over July 11th-21st, and will decide the two teams who will compete for the $1,400,000 prize pool and Overwatch League trophy. Esports Insider says: Some may say two weeks is a long time for a competition of such a stature to sell out its available tickets, but the Overwatch League Grand Finals is the largest esports event to be held at the Barclays Center. It’s set to be a huge competition, wrapping up the very first season of the heavily promoted and hyped Overwatch League.